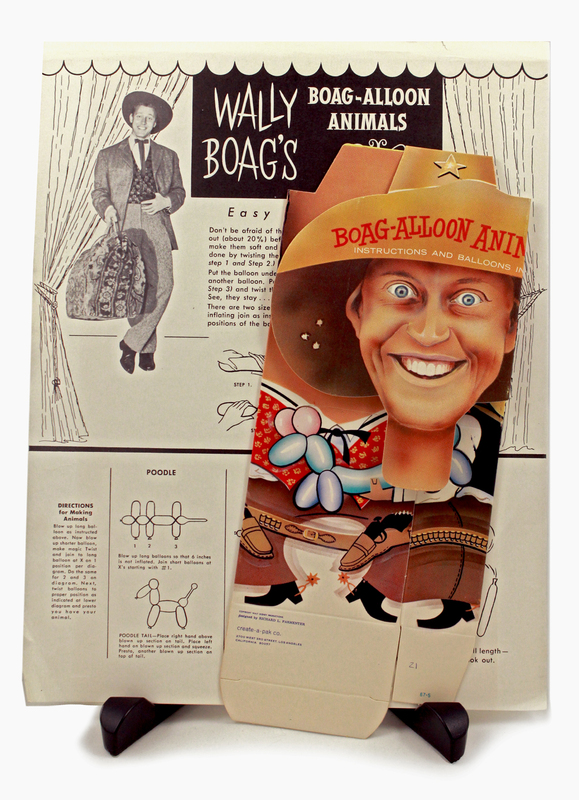 9.5" x 4",11" x 8.5"
This is an set of the original box and instructions for Wally Boag's Boag-Alloon Animals. The box measures 9.5" x 4" when flattened and the instructions are 8.5" x 11" paper. There are no balloons included, the kit is in very good condition overall.